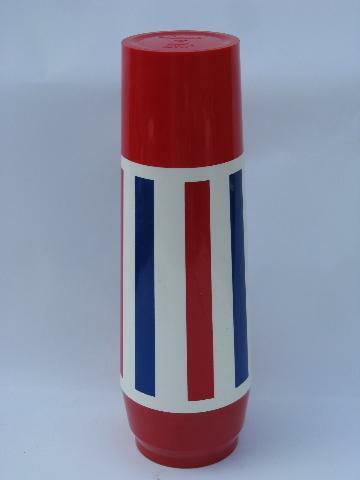 Vintage Thermo-Serv insulated plastic thermos bottle, red and blue stripes for summer! 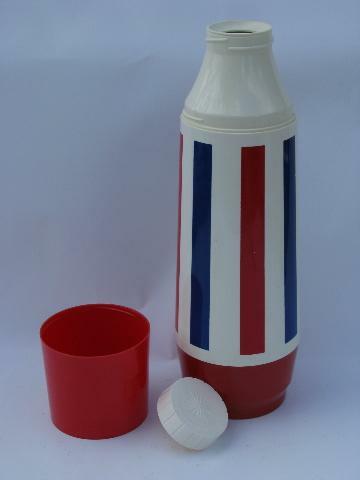 This holds one quart, and measures about 13 1/2" tall. It's clean and nice inside and out, looks good.